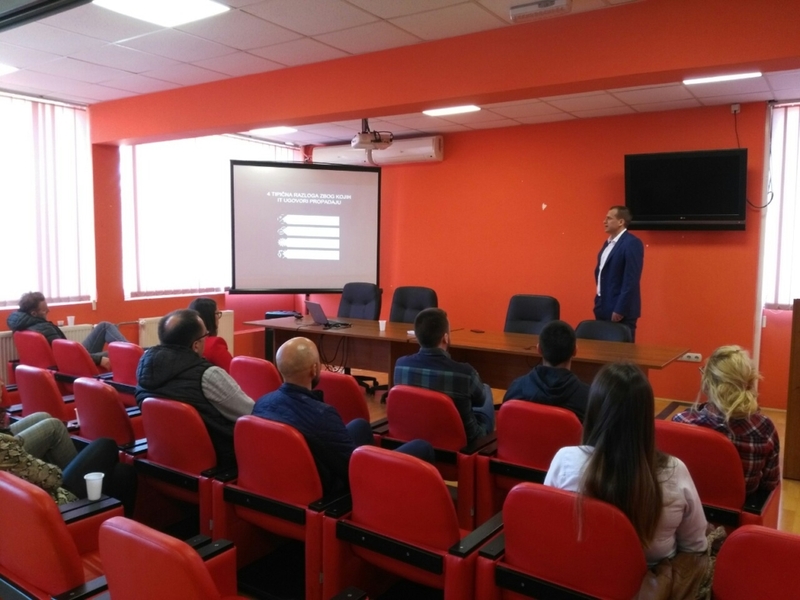 Upon the invitation of the ICT Cluster of Central Serbia, Nemanja Žunić, Partner at Zunic Law, held a lecture at the Business and Innovation Center in Kragujevac on March 29, 2019, on the topic of “Key Legal Aspects of Software Development Agreements (SDA)”. Since Zunic Law Firm recently became a member of the ICT Cluster Central Serbia, we decided to respond to their kind invitation by holding a free lecture, which is just the first in a series of free lectures and workshops planned for the next period, dedicated to various aspects of IT law. During a one-hour interactive lecture, attorney Nemanja Žunić covered topics such as different possible ways to conclude a contract, different types of IT contracts, pricing models, key provisions on both the vendor and client side, applicable law as well as the eventual outcomes of dispute resolutions. We are pleased to have had the opportunity to exchange experiences with entrepreneurs and IT experts from Central Serbia and hear about the examples of good practice first-hand, as well as about the challenges that the fast-growing IT sector faces in Central Serbia. The Zunic Law team is always happy to respond to invitations to participate in events of this type, which have the goal to demystify and bring the awareness of IT law closer to the stakeholders in the IT sector. After the first lecture in Kragujevac, we held a lecture on the topic of trade secret & confidentiality and personal data protection in the IT sector, within the Science and Technology Park Čačak, of which you can find out more in our news.